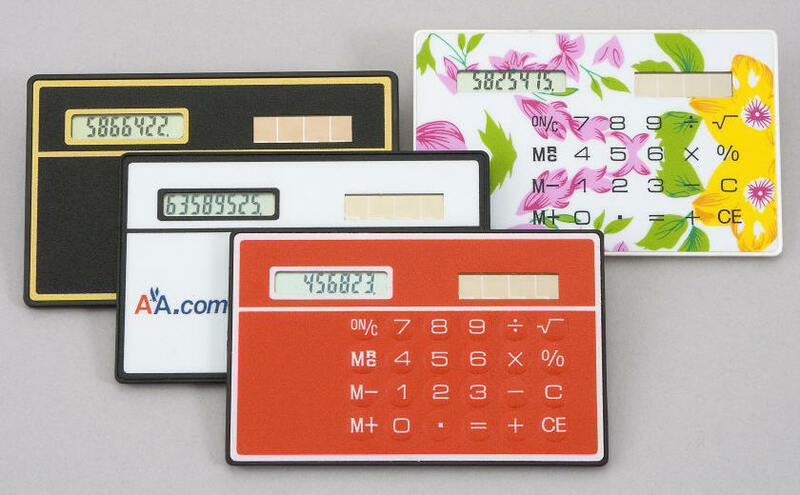 Solar powered credit card size full function calculator with auto power off. Performs all normal calculator functions. Keypad is touch sensitive. Measures just 1/8" thick. Approximately The Size Of A Credit Card. Only Floral Calculator Available ......Red, White, Black Out Of Stock indefinitely. Case Pack->500 Pieces Case Weight-> 30 Lbs Case Size Approximately 16" x 12" x 10"